Note: Due to technical issues, the delivery of this blog post was abnormally delayed. We apologize for inconvenience. Denmark’s largest telecom group, TDC, has chosen Ericsson (from Sweden) over existing provider Huawei to roll out its ultra-fast 5G mobile network. This is on the back of recent security concerns regarding China. According to a new study by the National Bureau of Economic Research (NBER), the U.S.-China trade war has churned markets and hit the U.S. economy by $7.8 billion. A delegation from the Philippines has gone to China as it tries to solve its severe water shortage that has caused taps in its capital city run dry. 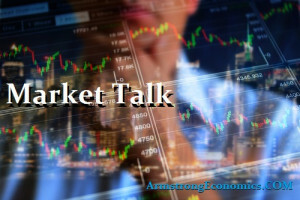 Tuesday was a mixed day for the major Asian stock markets: SENSEX increased 268.40 points (0.70%) to 38,363.47; Hang Seng increased 57.27 points (0.19%) to 29,466.28. Shanghai lost 5.44 points (-0.18%) to 3,090.98; Nikkei 225 decreased 17.65 points (-0.08%) to 21,566.85. ASX 200 decreased 5.70 points (-0.09%) to 6,184.80 and KOSPI decreased 1.87 points (-0.086%) to 2,177.62. Asian currency markets had a mixed day: The AUDUSD decreased 0.0013 or -0.18% to 0.7089, the USDCNY decreased 0.0039 or -0.06% to 6.7165, and the USDJPY decreased 0.0540 or -0.05% to 111.3660. However, the NZDUSD took the opposite route after increasing 0.0003 or 0.04% to 0.6854. The UK Government stated that it will allow PM May’s Brexit deal through the Commons, despite yesterday’s statement that the PM couldn’t bring another vote without substantial changes. It does seem time is running out for the UK. France’s defense minister questioned whether the U.S. commitment to the NATO alliance is “perennial,” and said Europe needs to build defense “autonomy” as that question goes unanswered. Today was a green day for the major European stock markets: CAC 40 increased 13.07 points or 0.24% to 5425.90; the FTSE 100 increased 24.81 points or 0.34% to 7,324.00, and DAX increased 131.35 points or 1.13% to 11788.41. On-going U.S.-China trade rumors spooked the marketplace Tuesday and resulted in a choppy day of trading. The Dow ended its four-day winning streak after declining by -0.10% (25887.38 close). The S&P 500 closed nearly flat at -0.01% (2832.57 close). The Nasdaq was the only major U.S. index to close in the green, advancing +0.12% (7723.95 close). The Russell 2K closed at 1554.99, a decline of -0.57%. While there is plenty of noise around when/if US and China officials will reconvene on trade negotiations, domestically most are focused on Wednesday’s press conference with Fed Chair Jerome Powell after they conclude the Federal Reserve’s two-day policy meeting. In corporate news, Google announced plans to enter the $140 billion gaming industry with its new company, Stadia. The game streaming service is described as a “game platform for everyone,” which will not require users to purchase separate gaming consoles. Parent company Alphabet rose 1.17% upon hearing the news, while AMD stock soared 11.83% after confirming that they will partner with Stadia. Not to be outdone, NVIDA rose 4% after announcing a string of new projects that include a deal with Amazon.com, Inc. The USD Index was down 0.15% today (last reading 96.38). The USD/CAD remained relatively unchanged (last reading 1.3322, -0.09%). Canadian markets traded in a bearish pattern Tuesday, with the TSX Composite losing -0.39% (16188.10 close) and the TSX 60 losing -0.47% (965.74 close). After touching the 100000 mark for the first time in history this week, Brazil’s Bovespa declined Tuesday by over 400 points (-0.41%, 99588.37 close) – the same day Brazilian President Jair Bolsonaro visited the White House to meet with President Donald Trump. Bolsonaro, who is often referred to as the “Trump of the Tropics”, asked the U.S. president for an endorsement into the Organization for Economic Co-operation and Development (OECD). While no formal decision was made, Trump hinted that Brazil could potentially become a non-NATO ally and added that he would like to improve trade between the two countries. President Bolsonaro also strongly promoted Trump’s desire to build a border wall, and said he aligned with President Trump on many of his conservative policies – which was no surprise. Saudi Arabia has continued to cut crude oil exports as prices continue to drive higher, recently hitting a 4-month high. Another factor to consider are the US-Iran sanctions, as the 6-month waiver is due to finish in 6 weeks. Tuesday was a mixed day for energy markets: Brent increased 0.05 USD/BBL or 0.07% to 67.49; natural gas increased 0.01 USD/MMBtu or 0.46% to 2.86; gasoline and heating oil increased 0.01 USD/GAL or 0.55% to 1.89 and 0.02 USD/GAL or 0.95% to 1.99 respectfully. However, Crude Oil took the opposite route and decreased 0.12 USD/BBL or 0.20% to 58.85. Top commodity gainers were Palm Oil (1.73%), Rubber (3.07%), and Platinum (1.06%). The biggest losers were Oat (-1.89%), Lumber (-2.47%) and Ethanol (-1.12%). Japan -0.04%(-1bp), US 2’s 2.45% (-0bps), US 10’s 2.61%(+1bps), US 30’s 3.01%(-1bps), Bunds 0.10% (-1bp), France 0.46% (+1bp), Italy 2.47% (-7bp), Turkey 15.85% (-7bp), Greece 3.73% (-38bp), Portugal 1.27% (+1bp), Spain 1.16% (-1bp) and UK Gilts 1.21% (-2bp).